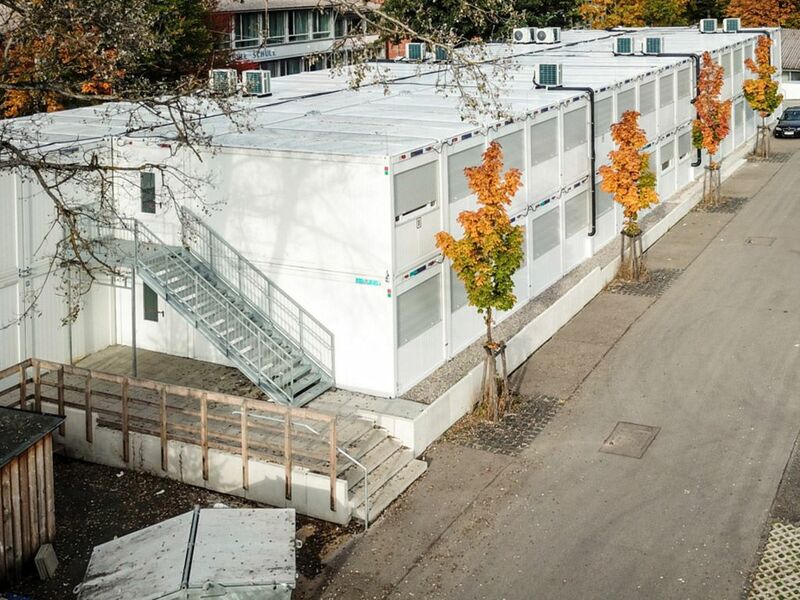 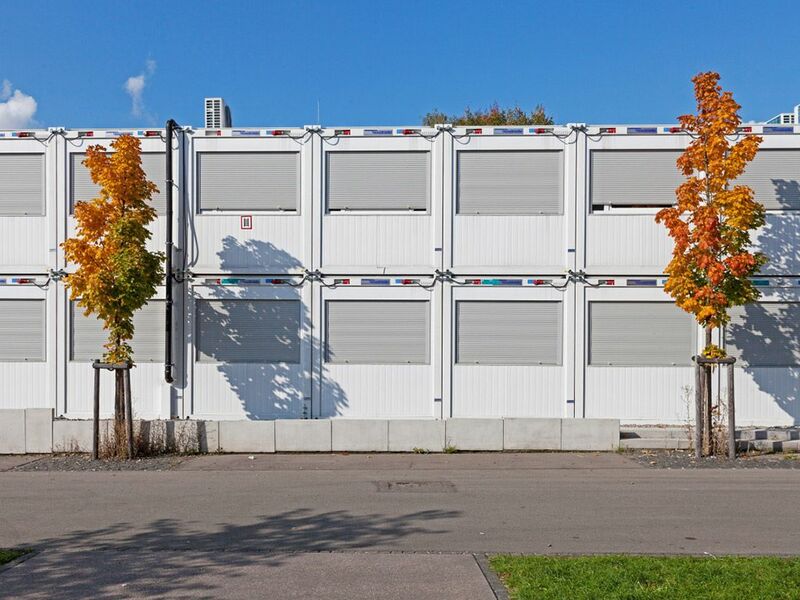 This modular building serves as a school in the German city of Mössingen. 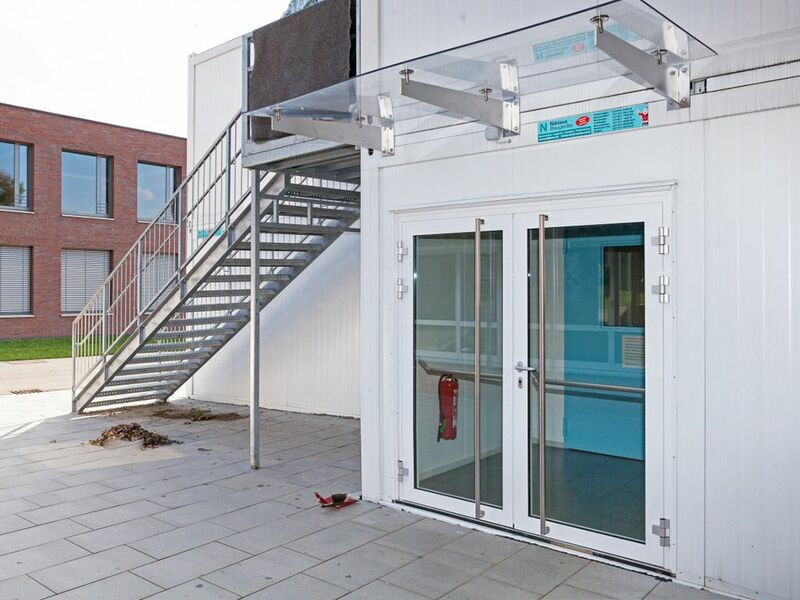 Equipped with heating, internal and external staircases and a canopy, the modular building allows a smooth flow in daily school life. 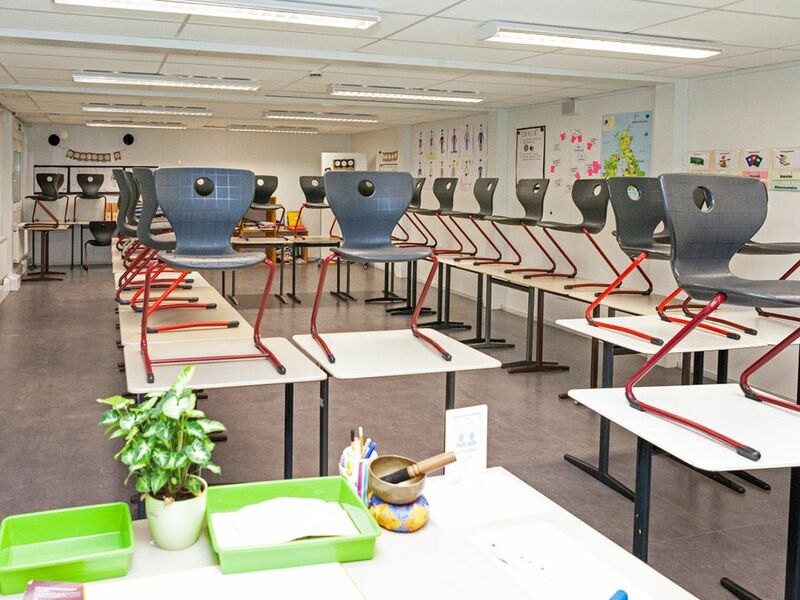 Each classroom is approx 73 m² and the large windows let in plenty of natural light. 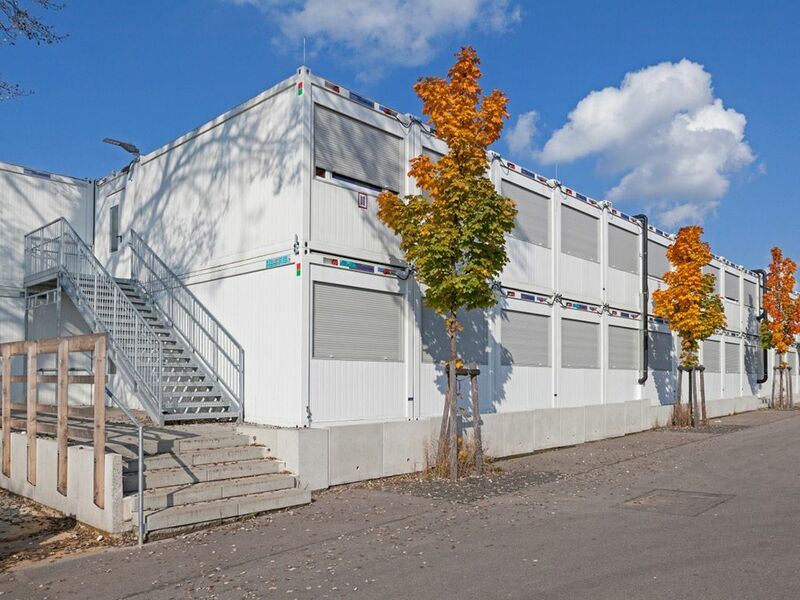 So nothing stands in the way of learning.